Dirty Harry. The Trouble With Harry. Harry Truman. Harry Hamblin. Prince Harry. Harry Houdini. Harry Potter. Harry Reems. Harry Connick Jr. Harry the Horse. Harry Frankfurt. Harry Belafonte. But none of these. I instantly connected to Harry B. Miller, Jr., my first cousin-in-law. And then discovered that he’d died back in 2013. 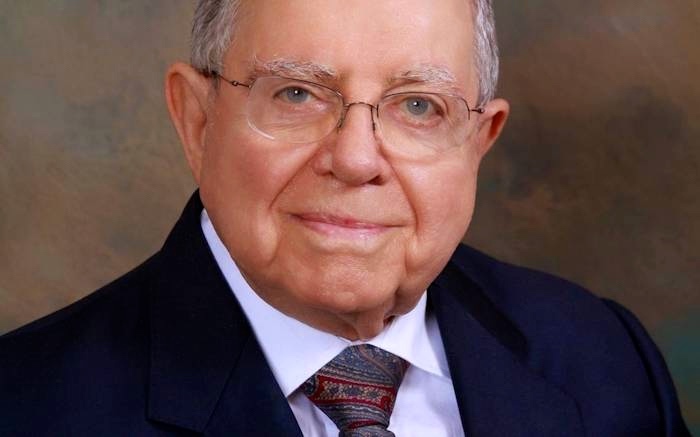 MILLER Harry B., Jr., a Lexington attorney who represented movie stars, business leaders and some of the biggest names in the horse industry, died Monday at home after a short illness. He was 89. Miller was born on Jan 4, 1924, in Lexington and was reared by his mother Ann [Walcutt] and step-father Circuit Judge Jack Winn in Mt. Sterling where Miller was a star athlete in football and basketball for Mt. Sterling High School. While attending the University of Kentucky he enlisted in the Army in 1942. He served in the 701st Military Police Battalion stateside for the duration of the war. He was discharged as a captain nearly four years later. He then served in the reserves for 11 years, obtaining the rank of major. After he was discharged from the Army, Miller skipped the rest of college and entered UK College of Law, where he was an Order of the Coif graduate of UK in 1948. Miller was also very active in Democratic politics and served as treasurer of the state Democratic Party for eight years. He was a top adviser to Govs. Bert Combs and Edward T. “Ned” Breathitt and was hired by Gov. Julian Carroll to handle all the legal appeals over eliminating bail bondsmen in Kentucky. In 1960 he escorted then Massachusetts Sen. John F. Kennedy during his campaign visit to Kentucky. Kennedy later offered Miller the position as head of the Justice Department’s criminal division. Miller declined. Miller was also a close confidante and recruiter for legendary University of Kentucky basketball coach Adolph Rupp, who used to joke that Miller was his best recruiter because every player he courted ended up going to another team and turned out to be terrible. But he did have one great success for UK basketball. When assistant basketball coach Joe B. Hall left to coach at St. Louis University, then changed his mind, Miller negotiated Hall’s release from the contract so he could return to Kentucky. After he retired, Miller enjoyed hours of playing bridge, poker and gin rummy with his friends and following his grandchildren’s athletic exploits. He is survived by a daughter, Robin Downing (Robert) of Lexington; and three sons, Tom Miller (Cathy) and John Winn Miller (Margo) of Lexington, and Harry B. Miller III (Nancy) of Los Angeles; six grandchildren, Blake Miller, Elliott Miller (Alison), Griffin Miller, Winn Miller, Cole Furfaro-Strode (Dawn) and Allison Miller-Nee (Adam); and one great-granddaughter Amaya Furfaro-Strode. So, first cousin of Ann (Walcutt) Daingerfield (Zwicky), through her aunt Ann (Walcutt) Winn. Your relatives and kin connections go their own way and don’t necessarily share a great deal with you. 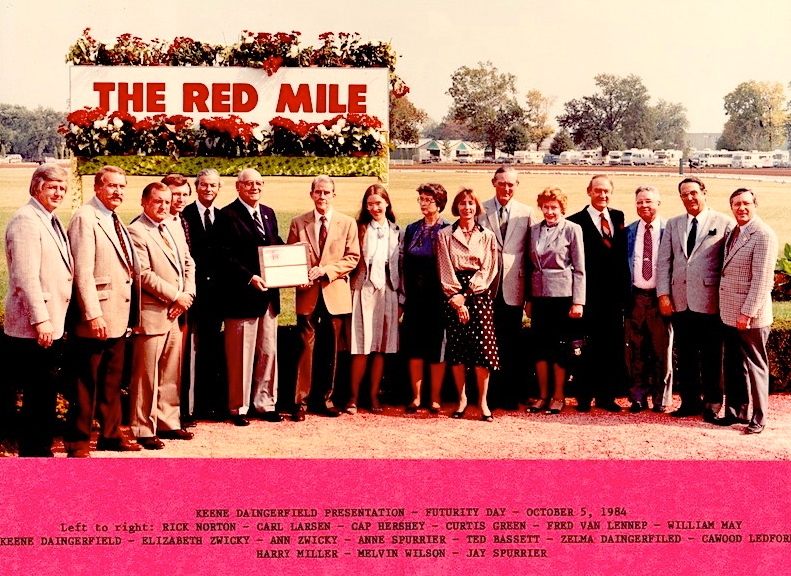 I expected that when Ann and I married, I would become connected to all sorts of people in the world of thoroughbred racing (completely new to me, but it was Ann’s father Keene Daingerfield’s world). I hadn’t reckoned on spending time with a large number of governors of Kentucky and UK sports coaches, but they came along with Harry. … [As for] Harry B. Miller (Jr.) and his family, [I note] here only that he’s been a lawyer in Lexington for over 60 years (in Miller, Griffin and Marks — with a number of specialties, including, of course, “equine matters”, as their website puts it) and that his mother Ann was my Ann’s aunt Ann: Ann Walcutt, sister of Ann’s mother Libby (another Elizabeth), married first to Harry B. Miller (a founding partner of Miller, Griffin and Marks), then to John J. (“Jack”) Winn, a judge from Mount Sterling, Kentucky, east of Lexington. This entry was posted on April 3, 2018 at 6:17 am and is filed under Death notices, Morning names, My life. You can follow any responses to this entry through the RSS 2.0 feed. You can leave a response, or trackback from your own site.